This book examines Islam and women’s everyday life, focusing in particular on the highly controversial issue of polygamy. It discusses the competing interpretations of the Qur’anic verses that are at the heart of Muslim controversies over polygamy, with some groups believing that Islam enshrines polygamy as a male right, others seeing it as permitted but discouraged in favour of monogamy, and other groups arguing that Islam implicitly prohibits polygamy. 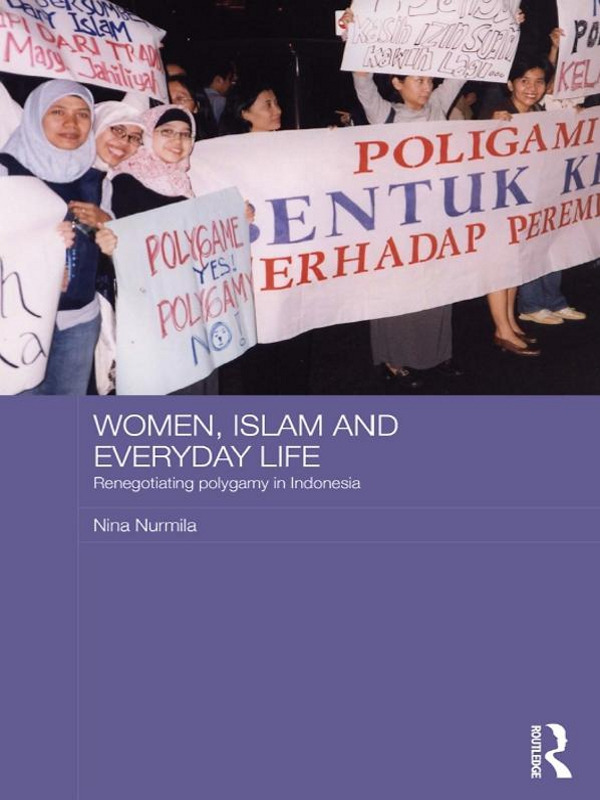 Based on detailed fieldwork conducted in Indonesia, it provides an empirically-based account of women’s lived experiences in polygamous marriages, describing the different perceptions of the practice and strategies in dealing with it. It also considers the impact of changing public policy, in particular Indonesia’s 1974 Marriage Law which restricted the practice of polygamy. It shows that, in fact, this law has not resulted in widespread adherence, and considers how public policy could be modified to increase its effectiveness in affecting behaviour in everyday life. Overall, the book argues that polygamy has been a source of injustice towards women and children, that this is against Islamic teaching, and that a just Islamic law would need to call for the abolition of polygamy.